A Jacksonville hospital system recently petitioned the U.S. Supreme Court to decide a legal dispute involving the disclosure of medical records. The case could affect what medical records are discoverable in medical malpractice cases. This is a medical malpractice case involving a woman who allegedly suffered a severe neurological injury because of medical error. Her family filed a lawsuit against the hospital and sought access to certain medical records that the hospital claimed were protected under federal law. Medical malpractice occurs when a healthcare provider violates the prevailing standard of care in treating a patient and injures that patient. The prevailing standard of care is that level of care, treatment and skill that similar healthcare providers recognize as appropriate and acceptable. In other words, if most doctors in the state perform a medical procedure in a certain way then that method would meet the prevailing standard of care. This case is about what medical records the allegedly negligent hospital has to disclose. 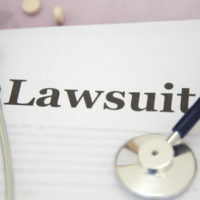 There are two conflicting laws at play, a 2004 amendment to the Florida Constitution that was designed to expand access to healthcare providers’ medical records in malpractice lawsuits and a federal law that permits hospitals to voluntarily submit information about medical errors to “patient safety organizations” while maintaining a certain level of confidentiality. Here, the hospital argued that the federal law shields it from turning over certain records and that the federal law preempts the state law. The Florida Supreme Court ruled against the hospital, which has appealed to the U.S. Supreme Court. Will the U.S. Supreme Court Take the Case? When a party appeals a legal decision to the U.S. Supreme Court it files a petition for a writ of certiorari. The court receives thousands of petitions but hears less than 100 cases a year, so there’s no guarantee that the justices will grant the hospital’s request to decide the case. However, this is a case that involves a conflict between federal and state law. If enough justices think that the Florida Supreme Court was wrong in applying state law over federal law, they might decide to hear the case. If the U.S. Supreme Court hears the case and disagrees with the Florida Supreme Court, that could make it more difficult for medical malpractice cases to obtain access to relevant medical records. Such an outcome would make it even more important for medical malpractice victims to consult with an experienced attorney who understands how to build an effective malpractice case. If you or a loved one is the victim of medical malpractice, contact an Orlando personal injury attorney at The Pendas Law Firm today for a free consultation. We keep abreast of new legal developments — like U.S. Supreme Court decisions — that could affect your rights in medical malpractice and other personal injury lawsuits. The Pendas Law Firm also represents clients in the Miami, Fort Lauderdale, Fort Myers, Jacksonville, Tampa, West Palm Beach, Daytona and Bradenton areas.